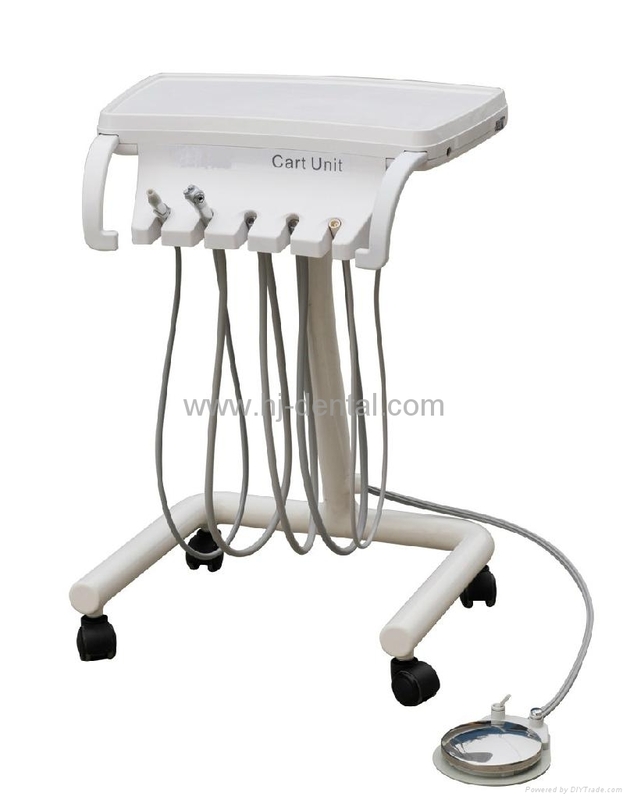 Top-of-the-line, mobile, self-contained treatment console for in-office, hospital, and nursing home uses. Everything needed to deliver quality dental care. Includes compressor, saliva ejector, handpiece connections, air/water syringe, clean water and waste reservoirs. This series mobile cart system allows customization to meet your needs for general dentistry and endodontic treatments.